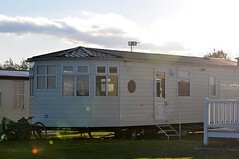 Home›Posts Tagged "finance real estate"
One of the great advantages of buying mobile home parks is the ready supply of seller financing. No other form of real estate investment offers as much seller carry, and at as favorable terms — with most of these loans being non-recourse and at below-market interest rates. So how do you get a seller to finance the mobile home park? One of the first strategies is to “bond” with the seller. A seller will not offer financing if he is not comfortable with the buyer and their ability to make a success of the park. If they are not feeling good about the buyer, then how can they lock up their investment and their future with them? Clearly, before there can be seller financing, there has to be a period in which the seller gets to know the buyer and develops confidence in their abilities.